Hosting a Sunday brunch is a pleasant way to celebrate the day with close friends. Furthermore, I’m a firm believer that a host should have just as much fun as their guests. So I thought I’d offer a few tips on how to host a stress-free brunch. Enjoy! 1. Create a Schedule and Follow It. It’s definitely worth your time to sit down and make a schedule for the morning of your brunch. I suggest you divide your morning into 15-minute increments and make a note of what you need to do at each point. For instance, you may set your wake-up time at eight o’clock. At 8:30 a.m., you are going to iron the table cloth, then you’ll set the table at 8:45. Other important items on your schedule may include making your famous strawberry cream cheese French toast for your guests, setting out the snacks, and starting the coffee. A schedule for your brunch is something you can rely on even when things get really busy in the kitchen. 2. Take Note of the Needs and Preferences of Your Guests. 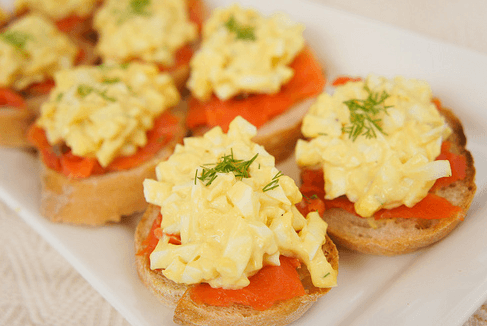 Chances are good that you will be sending out invitations to your Sunday brunch via email. Be sure to ask your guests to let you know about any of their dietary restrictions or preferences. Some of your guests may be vegetarians, while others are allergic to various foods. These are things you need to know as you plan the menu. If you have some vegetarians among your guests, you can create two versions of the same dish: For example, you can make one baked omelet with ham and one with spinach. Doing a little pre-planning can help you avoid the embarrassment of inviting someone over only to realize they aren’t able to eat anything you have on the menu! 3. Always Have a Supply of Snacks. So you are busily working on your brunch, and you’re following your schedule to a T! But the dish you are cooking is taking a little longer than expected, and your guests are impatiently milling around your living room. This is where your supply of in-between snacks comes in. Put out a tray of fruit and dip or some light appetizers. These treats will keep your guests busy while you tie up the loose ends in your kitchen. Snacks are perfect to serve when you are in the kitchen cleaning up after brunch or when you’re pouring wine into glasses so everyone can have a taste. 4. Squirrel Away Some Takeout Containers for Your Guests. If you are like me, you don’t want to see food good to waste. Making a lot of food on the morning of your brunch means that you may have a lot of leftovers to deal with. So to avoid an overflowing refrigerator, ask your guests to take home some food for later. Being the chef extraordinaire that you are, your guests will likely take you up on the offer! You can either fill a takeout box for everyone or allow them to choose what they want to take with them. Either way, you won’t end up with a bunch of extra food in the refrigerator.